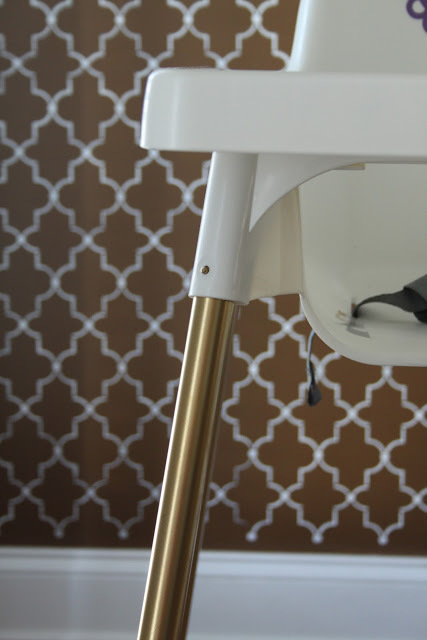 When reading the post of one of my most favorite blogs Dwellings by Devore, I saw that se had hacked the Ikea high chair. It´s simple DIY but so pretty. She spray painted the legs in gold and added a vinyl monogram to the seat. Now that´s a winner! I also have the Ikea high chair and I am planning to do this fantastic DIY soon. 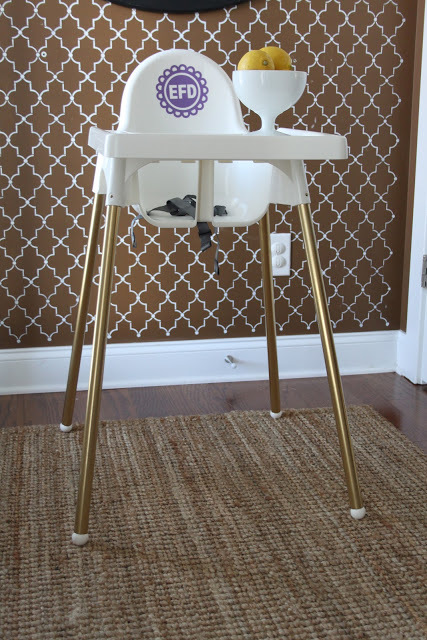 Highchair with gold legs = so Chic!